Here’s some Tuesday morning Shimano shiny to keep you going for the week. Everyone wants electric blue, right? 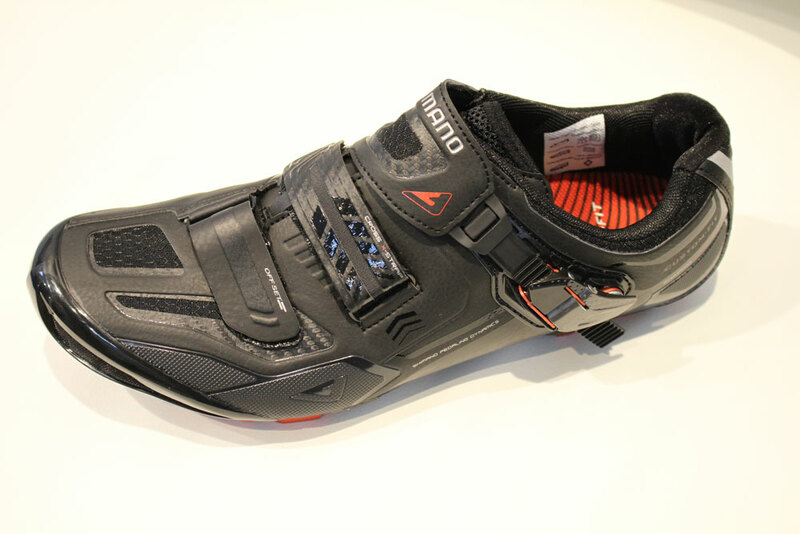 The XC70 is £219.99 and features many of the XC90 shoe – only the soles go up to 10 and not 11 out of 10 like the 90s do. XC70. Still carbon and still super stiff. Now on to more carbon goodness from Shimano. 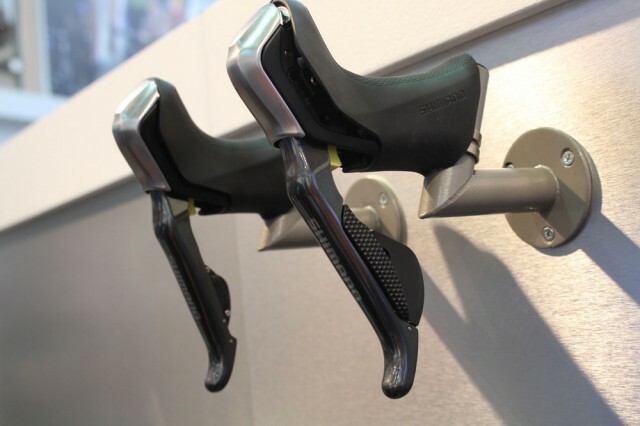 As we’ve seen in the past, it won’t use carbon unless it really thinks it’s worth the hassle. So, here’s it’s racing-special XTR wheels. 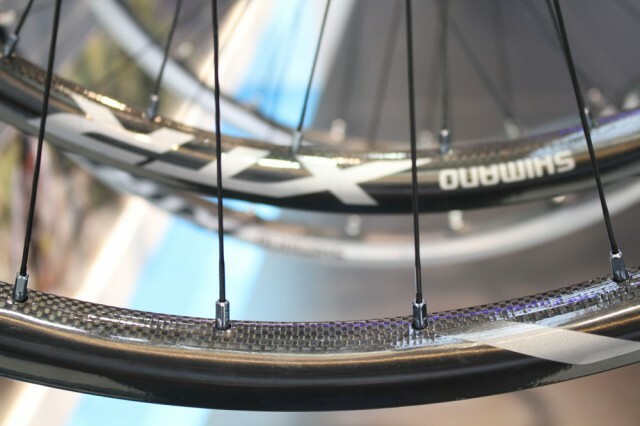 They only come in 15mm/QR rear and only for tubulars. 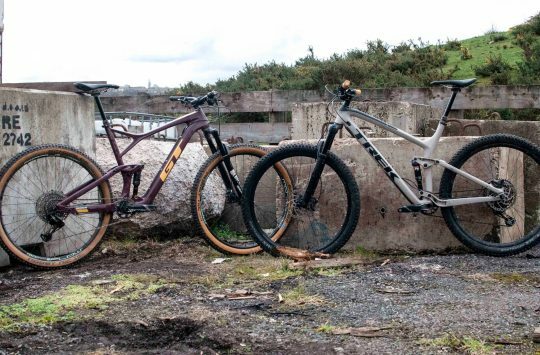 The pair is 1329g, so are probably World Cup racer only, however, we’re sure that a few trail riders might be tempted. 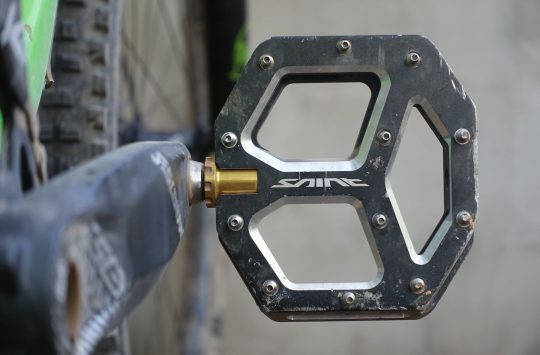 And with Giant, and others trying 15mm forks for CX bikes, we might see them on cyclocross machines too. 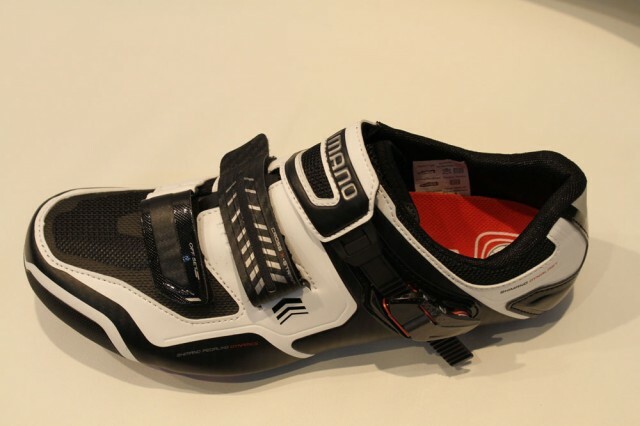 Shimano carbon – something you don’t see often – or without reason. What sidewalls? 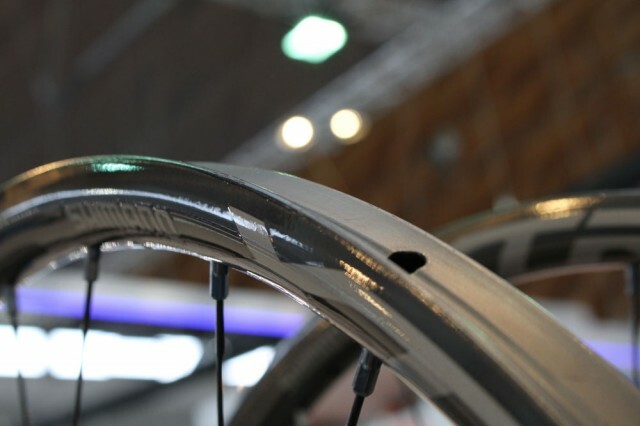 Glue-on tubulars only. Keeping with the racing-only theme of XTR (XT Race, remember?) 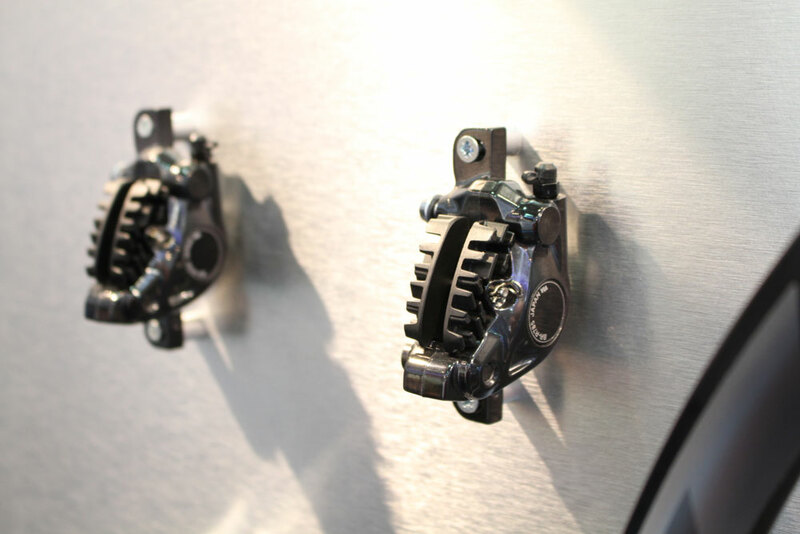 is the new XTR race brakes. 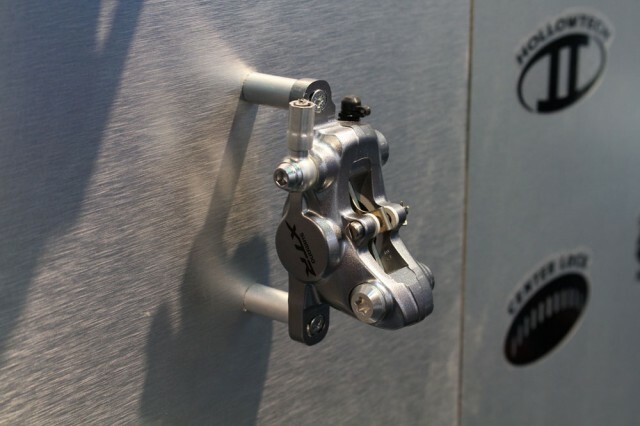 with a super light – carbon – levers and magnesium caliper bodies. They look fat, but they’re skinny, right? Hydraulic brakes, electric shifting. 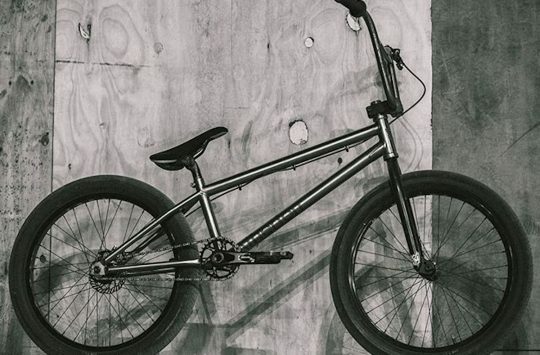 Is this where mountain biking is headed? 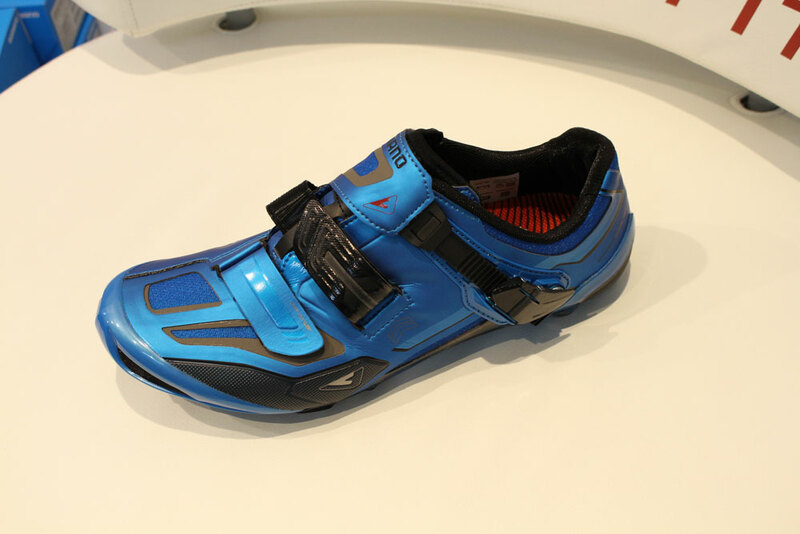 Shimano’s Ultegra Di2 disc groups won’t be coming out until well into the 2013 ‘cross season. Don’t expect any before November… But then, go crazy! Any word on an MT92? Is the oven to re-shape Ice Tech rotors? Is that a new ‘not-as-shiny-as-before’ finish on those XTR brakes… or merely poor lighting? All quiet on the 1×11 front?? 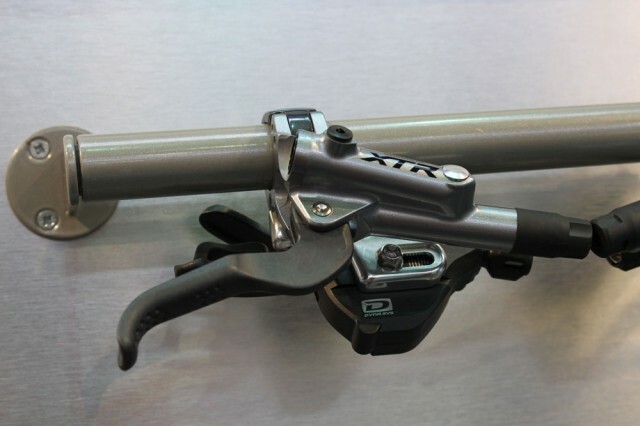 Magnesium Caliper and Lever bodies on the XTR brakes it says, so no, they won’t be as shiny as the Aluminium units they replace. Shame no 1 x 11 as maxtorque says. I agree with Maxtorque. 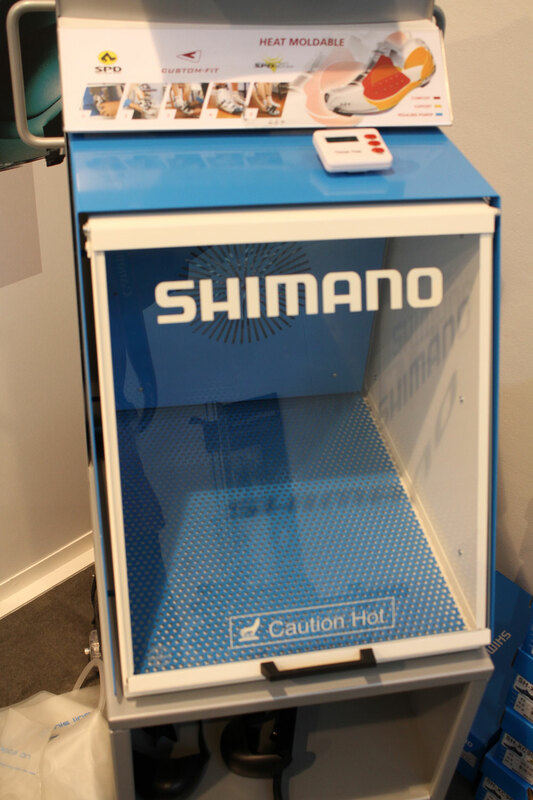 It seems to the me at the moment that Shimano have no new ideas and are just tinkering with their existing products. I hope they have something up thier sleeve due out soon to prove me wrong.